Most of the time police radars can identify interference and adapt by adjusting gain or stop processing until the interference stops or lowers to a manageable level. The radar alerts the operator with a radio frequency interference (RFI) indicator and stops displaying speeds. Automatic gain control adjust out interference and detection range. Some models stop processing speeds if interference detected. If interfering signal falls in a single Doppler filter. Interference can cause the radar to stop processing or produce a false speed reading, sometimes out of nowhere. The radar's self adjusting gain to manage interference can significantly lower detection range unbeknownst to the operator, especially if radar range manual adjustment is set to maximum. Two or more traffic radars transmitting at on near the same frequency operating in close proximity will interfere with each other. The degree of interference depends on radiated power, antenna pointing angles, and distance between radars. Interference occurs when unwanted radio frequency energy gets into the radar circuits. Most interference gets into the radar receiver by the antenna. Strong energy sources can penetrate almost any circuit from any angle. 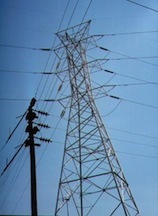 High power transmitters generate noise well outside their transmitting band and adds to other background noise. Field disturbance sensors are radio or microwave transceivers used for short range detection of objects or motion. These sensors operate in multiple bands, including police radar X and K bands. Sensors in the X and K bands are numerous and widespread and can interfere with police radar and radar detectors. Applications and uses include, but not limited to, the following. The Federal Communications Commission regulates field disturbance sensor frequencies and power in FCC Rules and Regulations, Part 15. Same as police radar X and K band limits. Low power field disturbance sensors include unlicensed and unattended radars, and some sports radars. Amateur Radio primary frequencies are between 24.0 - 24.05 GHz, with secondary frequencies between 24.05 -- 24.25 GHz. Industrial, Scientific, and Medical Equipment. Temperature affects the sensitivity of all receivers, the lower the temperature the better the sensitivity. The sun affects background noise, as the sun heats objects the thermal excitation of atoms in conducting materials generates noise. At X band atmospheric conditions have much less effect on signal propagation than at K or Ka band. Both K and Ka bands signals are attenuated by oxygen and water vapor in the atmosphere. Signals in K band are attenuated more by water vapor due the the spacing of the atoms that resonate at that frequency. Rain significantly reduces radar detection for K and Ka bands, much less reduction at X band. Pointing a radar in the direction of rain drops will produce an average speed of the rain in the beam. Rain falls at speeds from about 14 mph for a light moderate rain to about 25 mph or more for a heavy rain. Unintentional sources of interference include automotive ignitions, alternators, spark plugs, and wiper motors, those on the patrol vehicle and on other vehicles close to the radar. The ignition draws a lot of current for a short time, the more current the higher the electromagnetic field levels. Alternators are electromagnetic devices by nature, fields vary with engine rpm (revolutions per minute). Spark plugs generate a great deal of broadband noise, fast and short high power pulses. Wiper motors generate strong electromagnetic fields that change with time at the wiper rate. Fluorescent, mercury, sodium vapor (common for street lighting) and neon / argon lights switching on or off can trigger false radar readings. Switching high voltages produces high interference fields. Power plants, generator sub-stations, transformer sub-stations, transmission lines and pole transformers are strong sources of interference. This type of interference usually causes a buzzing or humming of the radar audio Doppler and/or false speed readings.